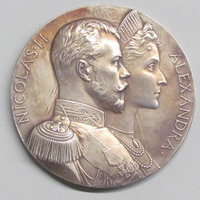 This exhibition focuses on the reigns of the last two Romanov rulers: Alexander III (1881–1894) and his son and successor Nicholas II (1894–1917). It marks three closely linked anniversaries: the centenaries of the Bolshevik Revolution, the execution of the last Russian emperor and his family and the end of World War I. In accordance with the political ideology of the Byzantine Empire, the tsars of Russia were invested with divine power to rule as Christ’s representatives on earth. Nicholas II served dutifully, yet reluctantly, and his actions contributed to the demise of the Russian Empire. At the same time, the emperor was a model family man, very much like his father. This exhibition draws attention to the incongruity of divinely inspired autocracy and modern life while highlighting human fragility against the mighty flow of history.